Chronic obstructive pulmonary disease (COPD) represents serious morbidity and has emerged as a leading cause of death worldwide (1). Although tobacco smoking is the leading factor in the etiology of COPD, the disease may be caused by inhalation of different gases and aerosols among both smokers and non-smokers (2). Various occupational exposures have been associated with COPD often in combination with tobacco smoking.  As much as 15% of prevalent cases have been attributed to occupational exposures (3). Chronic airflow obstruction (or limitation) is the main defining characteristic of COPD. However, the terminology and diagnostic criteria of respiratory disease characterized by chronic obstruction has varied widely during recent decades (4). The Global Initiative on Obstructive Lung Disease (GOLD) has proposed that the criterion forced expiratory volume in one second (FEV1)/forced vital capacity (FVC) ratio <70% as an indication of the presence of COPD (5). The staging of the severity of COPD in GOLD is based on the reduction in FEV1 (as percent predicted) but has obvious limitations in clinical prediction (6). Moreover, variation in diagnostic criteria makes comparison of studies from different time periods and countries problematic. Refinement of the FEV1/FVC criterion by using the lower limit of normal (LLN) rather than a fixed ratio may increase the diagnostic specificity, but there is currently no “gold standard” for the diagnosis of COPD. Thus, the disease remains a heterogeneous condition encompassing different structural lesions. The inhalation of gases and particulates may initiate local inflammatory processes in the airways and lungs, which lead to conditions such as chronic bronchitis, small airways disease, and emphysema. Long-term consequences are pulmonary hypertension and systemic inflammation (7). The induction time from exposure to the detection of early COPD is often long (decades). Identification and measurements of relevant exposures over a prolonged period of time are generally not performed and thus are unavailable for research with few exceptions (8). The recognition and acceptance of occupational exposure as a cause of COPD has been impeded by variable terminology and case definitions of COPD, lack of reliable exposure data, and insufficient analytic inclusion of important confounders in particular tobacco. As early as 1985, however, Margaret Becklake concluded that occupational exposure to dust and/or dust and fumes may have a causal link to the pathogenesis of COPD, often relying on studies in which work-related factors were included as confounders to be adjusted for in an analysis of smoking effects (9, 10). Coggon and Newman Taylor (11) made an extensive analysis of the literature on airflow obstruction among coal miners, concluding there was a significant association between exposure to coal dust and the development of chronic airflow obstruction. Additional systematic reviews also concluded there is indeed a causal association between occupational exposure and COPD (12–16). By 2003, the American Thoracic Society (ATS) published a systematic review of the evidence accumulated to date and relevant to the role of occupational factors in the pathogenesis of obstructive airway diseases (asthma and COPD). This quantified the contribution of work-related risk to the burden of these diseases in the general population and concluded that approximately 15% of COPD could be attributable to workplace exposure (3). This has been amplified by a recently published review focusing on COPD among non-smokers estimating that 25–45% of persons with COPD are non-smokers (17). Furthermore, that review concluded that occupational exposure stood among the major risk factors for COPD among non-smokers, along with biomass smoke, indoor air pollution, prior pulmonary tuberculosis, chronic asthma, and poor socioeconomic status (17). A more recent ATS official statement on COPD among non-smokers from 2010 concluded there was sufficient evidence to infer a causal relationship between occupational exposures and development of COPD (2). We have reassessed the relationship between occupational exposure and the risk of COPD by building on previous analyses as well as taking advantage of new data that have emerged in the published literature. In addition, this review exclusively includes studies that have used ATS-/European Respiratory Society (ERS)-approved spirometric criteria for defining abnormalities in airflow obstruction and level of FEV1 (18), albeit not requiring LLN-based definitions. The content of this review is derived from an analysis originally performed for the Danish National Board of Industrial Injuries and the Danish Occupational Diseases Committee on COPD and Occupational Exposure in 2010. The working group that performed the analysis on which this report is based was originally convened to draft a scientific reference document for the Danish National Board of Industrial Injuries and the Occupational Diseases Committee on Occupational COPD. The ten panel members included occupational physicians, pulmonologists, and respiratory physiologists with expertise in the study question and originating from five countries (Denmark, Norway, Sweden, UK, and USA). We carried out a series of computerized librarian-assisted searches utilizing the databases PubMed and Embase (from February 2003 to May 2005, with updates in April 2008 and August 2009). The search strategy was intended to be broad in order to maximize the capture of citations of peer-reviewed publications relevant to the epidemiology of occupational risk factors for COPD. The PubMed searches were carried out using the following algorithm of MeSH (Medical Subject Heading) terms: (i) COPD AND (occupation* OR work* OR workplace* OR employment OR industry OR dust* OR fume* OR airborne*) (ii) Loss of lung function AND (occupation* OR work* OR workplace* OR employment OR industry OR dust* OR fume* OR airborne*) (iii) (Social class AND COPD) OR (Social Class AND loss of lung function). This search strategy initially yielded 2667 hits in total. A parallel search utilizing Embase yielded 2912 hits in total. We further supplemented the citation pool through the manual assessment of the reference lists accompanying other published systematic reviews of COPD and occupation. In addition, the expert panel bought forward a limited number of other relevant publications for further review. We used a multi-step, iterative process to reduce the initial pool of citations down to a final selection as shown in the flow chart illustrated in figure 1. Of 5579 citations from the initial PubMed and Embase search, 1129 were duplicates. The first author screened the remaining 4450 citations for further consideration by title, excluding 4150 and leaving 300 citations for the next stage of review together with 78 additional publications nominated by panel members. The full ten member expert panel, divided into five pairs (four pairs consisted of a pulmonary physician and a specialist in occupational medicine, while one pair consisted of a pulmonary physician and a respiratory physiologist) reviewed the abstracts of 378 publications (including foreign-language papers if there was an English language abstract). The criteria for exclusion at this detailed review stage were: (i) insufficient characterization of occupational exposure risks; (ii) no inclusion of either external or internal reference subjects (the latter could represent a gradient of exposure and did not require unexposed subjects); (iii) insufficient analysis testing the association between exposure and a lung function-defined outcome; (iv) absence of an analysis taking into account both subject age and cigarette smoking exposure; (v) lack of documented measurements of lung function; (vi) and exposures predominantly associated with asthma (eg, isocyanates or plicatic acid [Western red cedar]). For studies of exposures that could lead to either obstructive or restrictive decrements in lung function (eg, inorganic dusts such as from coal mining), we further required data on FEV1/FVC ratios, excluding those solely reporting FEV1. Flow chart of the number of articles in different stages of the selection strategy. FEV1/FVC=forced expiratory volume in one second/forced vital capacity. SIGN=Scottish Intercollegiate Guidelines Network. Following this round of exclusions, the fulltexts of all the remaining articles (N=147) were made available to the expert panel and the same review pairs further evaluated each of the full papers. Of these, five publications were translated fully into English (three from Italian and one each from German and Polish). Each pair reviewed one fifth of the total of 147 articles. After the evaluation, all ten reviewers met for a final discussion of all 147 articles and a final decision was agreed in plenum. The quality score of the studies was assessed using a modified version of the ERS proposed data extraction sheet for “ work-related asthma” previously developed for another systematic review (19). This approach provides for the systematic extraction of: study design and population; measurement of type, degree, and duration of exposure; quality of the exposure description; study limitations (eg, confounding and other potential biases); and key findings. A summary semi-quantitative assessment of the publication was then applied using the SIGN (Scottish Intercollegiate Guidelines Network) methodology to grade each study (20). SIGN requires: the guidelines must be developed by multidisciplinary groups, the assessment must be based on systematic review of the scientific evidence, and recommendations must be explicitly linked to the supporting evidence and graded according to the strength of that evidence. For case–control or cohort studies the grading has been set from 2–2++ where 2++ is the highest quality score. We set, a priori, a requirement of a score of ≥2+ (low risk of confounding/bias/chance). Initially 68 articles were included, but 9 were based on data already represented by other articles, so ultimately 59 articles were included in the final analysis. Of these, 25 were population-based studies that crossed multiple industries and occupations while 15 were industry- or occupation-specific studies where the predominant exposure was inorganic/mineral dust and another 19 were industry- or occupation-specific studies of organic/biological dust exposures. Certain studies of potential interest (11, 21–31) were omitted as we included only studies using ATS/ERS criteria for airflow obstruction, required that FEV1/FVC ratios be reported for exposures that could lead to restrictive as well as obstructive decrements in lung function, and excluded studies of exposures predominantly associated with asthma. Even though these selected studies were excluded and did not contribute to the systematic review summarized in the core study tables, nonetheless they are addressed in a distinct supplemental section of the text. In a further additional section, we also summarized publications that only appeared after we carried out the systematic review upon which the core tables are based. We relied on the statistical analyses reported in the published papers. We did not attempt to reanalyze data or derive additional measures of risk (eg, population attributable fractions). The selected studies were judged to be heterogeneous with regard to exposures and populations. This heterogeneity precluded a formal meta-analysis, which requires at least a number of studies to be similar to allow meta-analysis of subgroups. Our main systematic review was limited to publications appearing prior to September 2009. Because of an increased pace of recent publication in this area, we also wished to address interval reports in this review. In order to do so, two members of the original panel assessed such publications and summarized them as a supplement to the original review. The central analytic data are presented in three tables. Table 1 shows the population-based studies included in the analysis, table 2 industry- or occupation-specific studies of inorganic/mineral dust exposure, and table 3 industry- or occupation-specific studies of organic/biological dust. Of the 25 population-based studies of occupational exposure to vapors, gas, dust, and fumes (VGDF) and COPD (table 1), 18 (32–49) were cross-sectional and 7 (50–56) were longitudinal with follow-up time between 5–25 years. The studies came from the US (32–35, 38, 41, 42, 48, 49, 51), Europe (36, 39, 40, 44, 46, 47, 50, 52–56), Australia/New Zealand (37, 43) and China (45). The studies comprised a total of 92 452 subjects. In some cases, a job-exposure matrix (JEM) was used to characterize the exposure (32–35), while others use JEM jointly with an expert opinion (35) or a questionnaire (32–34). Use of record-defined (16 occupational categories) description of exposure was limited (40), while in 20 studies (36–39, 41–56) the exposure was self-reported and questionnaire-based. The spirometric criteria included were non-uniform. The GOLD criteria were the most prevalent, with GOLD II+ (excluding GOLD I) dominating (32–34, 41, 42, 46, 50) and less frequent GOLD I+ (39). FEV1/FVC ratio was used alone in 6 publications (37, 43, 44, 48, 52, 54) with different values of the ratio in the range of <0.6 (48) to ≤0.75 (43). FEV1/FVC ratio <0.75 and FEV1 <0.8 was the outcome only once (38). Some studies had dual outcomes, including either reduced FEV1/FVC (FEV1/VC) ratio (<0.8) or reduced FEV1 value (<0.8) (47, 49, 53), while others assessed FEV1/FVC% (36), FEV1/FVC<LLN (35), and FEV1 alone (40, 45, 51) (none of these in inorganic dusts that could cause a restrictive deficit, as noted previously). FEV1 <0.65 or FEV1 decline (55) and FEV1 slope (ml/yr) (56) were outcomes in longitudinal studies. Among 22 of the 25 population-based studies, there was a statistic significant association reported between COPD and exposure to VGDF, defined either predominantly by self-report or less frequently through JEM assignment of exposure likelihood. The JEM indicate the presence, intensity, frequency, and/or probability of exposure to a specific agent in a specific job. Lindberg et al (53) found a borderline association to manual work and low educational level and COPD. In 2 studies (39, 52) no statistically significant association between exposure to VGDF and COPD was observed, but both these articles were based on the European Community Respiratory Health Survey (ECRHS) cohort where the age of recruitment was 20–45 years, with a relatively short follow-up time and the outcome was mild COPD equivalent to GOLD stage I. Of the industry- or occupation-specific studies of inorganic/mineral dust exposure and COPD (table 2), ten (57–66) were cross-sectional and five (67–71) longitudinal with follow-up time between 3.4–18 years. The studies came mostly from Europe (58, 59, 61–65, 71) and the US (67–70), followed by one each from Taiwan (57), China (60), and India (66). The studies comprised a total of 7332 subjects with exposures of welding, coal, coke, asphalt, silica, cement, tunnel work, cadmium, glass, and bleach. In a majority of studies (60, 62–64, 66, 69), personal sampling technique was used to define the exposure, both personal and area-level sampling technique were used in one (65) and area-sampling technique was used in two (57, 61) studies. The exposure was characterized by questionnaire in four studies (58, 68, 70, 71), while in two studies (59, 67) a record or workplace-defined strategy was used to assess exposure. The spirometric criteria included were non-uniform. The FEV1/FVC ratio alone was the most prevalent (59, 65–68) together with FEV1/FVC ratio with different values of the ratio (57, 61, 64, 69, 70) in the range of <0.65 (70) to <0.8 (69). GOLD criteria II+ defined COPD in two studies (60, 63) and FEV1/FVC ratio ≤ LLN in two others (62, 71). In one study (58) there were a dual outcome both for obstructive (normal FVC and low FEV1/FVC) and mixed pulmonary impairment (low FVC and low FEV1/FVC). In 12 of the 15 studies focusing on inorganic exposures, there was a statistic significant association reported between exposure and COPD. Among spot welders, there was a borderline association (P=0.08) with FEV1 decline (57), among shipyard workers there was an increased risk of mixed pulmonary function impairment (58), and no significant association was found between cement dust exposure and COPD (63). Of the industry- or occupation-specific studies of organic/biological dust exposure and COPD (table 3), nine (72–80) were cross-sectional and ten (81–90) longitudinal with follow up-time between 1–20 years. A majority of the studies came from Europe (72–77, 79, 80, 85, 86, 88) and the US (82, 83, 89, 90), with two each from China (81, 84) and South Africa (78, 87). The studies comprised a total of 16 856 subjects with exposures of cotton, flax, jute, farming, grain, wood, paper, and rubber. In eight of the studies (75, 77, 78, 80, 86–89), personal sampling technique was used to define the exposure; in one study (72), both personal and area-level sampling techniques were used, and in five studies (79, 81, 82, 84, 90), area-level sampling techniques alone were used. The exposure was characterized by questionnaire in four studies (73, 74, 76, 83), while in one study (85) employee records defined exposure. The spirometric criteria included were non-uniform. The FEV1 alone was the most prevalent (72–74, 79, 81–86). GOLD criteria II+ was the outcome in two studies (76, 77), FEV1/FVC ratio <0.7 in two others (78, 87), and FEV1/FVC ratio alone in one (80). Decline in FEV1 and/or FEV1/FVC were assessed in three studies (88–90), while in one study the outcome was FEV1/FVC< LLN (75). Among 17 of the 19 studies focusing on organic exposures, there was a statistic significant association reported between exposure and COPD. In the Jacobsen et al study, the association was only found in subgroups (88). No association between past exposure to cotton dust and low FEV1 was observed, but duration in the workplace and working in the waste room was associated with a low FEV1 in the same study (72). The paper by Glindmeyer et al (89) is mostly a negative study, although difficult to interpret due to extensive stratification on exposure variables. Nonetheless, one of the measures (residual particulate) was indeed associated with COPD. Due to our study inclusion and exclusion criteria, only two studies (68, 69) of exposures to coal and gold dust in the mining industry were included in table 2 of industry- or occupation-specific studies. In their reanalysis of British coal miners, Marine et al (21) found an effect on FEV1 of dust exposure alone when disentangling the pneumoconiotic effect of respiratory conditions. A comprehensive review (11) further supports the argument that coal mine dust might cause obstructive lung disease as do autopsy data from coal miners and non-miners where the cumulative exposure to respirable coal mine or coal dust retained in the lungs were significant predictors for emphysema severity (22). As with the studies of airway obstruction and coal mining, the studies on gold mining have the inherent challenge of disentangling the restrictive deficits associated with the dust exposure from obstructive deficits. The dust exposure with high silica concentration has been associated with different respiratory health outcomes: asthma (23), bronchial hyper-responsiveness (24), emphysema (25), silicosis-associated dysfunction, chronic airflow limitation, and chronic bronchitis (26), and studies among gold miners have found loss in lung function associated with pulmonary tuberculosis (27). The diversity in respiratory health outcome associated with the same exposure pinpoints a diagnostic uncertainty. However, published data (28) suggests an association between occupational exposures to dust and silica from gold mining. We also ultimately excluded studies where asthma was combined with COPD as a mixed obstructive endpoint. Nonetheless these data are relevant to the overall question at hand. Increased hazard ratios (HR) for incidence of chronic non-specific lung disease (CNSLD) among blue- compared to white-collar workers was found (29) in a Dutch longitudinal study The definition covers symptoms associated with asthma and COPD, as well as cases of asthma, chronic bronchitis, or emphysema. Standardized hospitalization ratio (SHR) for COPD were studied in three Danish cohorts (>2 000 000 males and females, aged 20–59 years). The risk ratio (RR) was 2.31 [95% confidence interval (95% CI) 2.13–2.51] for unskilled workers compared with senior salaried staff for men and 1.62 (95% CI 1.38–1.92) for women. SHR increased during the observational period for all classic high risk occupations apart from farming (30). COPD mortality, although beyond the scope of our core analysis, should also be noted. A Swedish study of mortality in COPD among construction workers comprised 317 629 subjects aged 15–67 years. There was a significant increase in mortality among subjects exposed to inorganic dust, gases and irritants, fumes, and wood dust [RR 1.12 (95% CI 1.03–1.22)], which was even higher among “never smokers” [HR 2.30 (95% CI 1.07–4.96)] (31). We identified eight relevant publications that appeared since the original literature review. Five of these (91–95) were cross-sectional and three (96–98) were longitudinal with a follow-up time between 5–13 years. Six studies came from Europe (91, 92, 94, 96–98) and one study each from the US (93) and South Africa (95). Three of the studies (91, 92, 96) focused on inorganic exposure (cement production and metal melting), one (97) analyzed the association between organic exposure (dairy farming) and COPD, while four studies (93–95, 98) were population-based. These studies comprised a total of 28 618 subjects. JEM alone defined exposure in four studies (91, 95, 96, 98); JEM with personal sampling technique was employed in one study (91), and JEM with questionnaire data in two studies (95, 98). The exposure was solely characterized by self-report in three studies (93, 94, 97) and one study defined exposure by area sampling (92). The spirometric criteria included were non-uniform. GOLD criteria II+ was the most prevalent (92–95). The FEV1 and FEV1/FVC were the outcome in two studies (91, 97), like FEV1/FVC<0.7 and <LLN (96, 98). All eight studies found an association between airway obstruction/COPD and occupational exposure. A modified version of the ERS proposed data extraction sheet for “work related asthma” and SIGN system were used to assess the quality of all studies, ensuring ≥2+ value on a quality scale and consequently low risk of confounding/bias/change. In 29 studies, spirometric criteria of airflow obstruction other than GOLD were used, 21 studies used GOLD criteria and 10 used LLN criteria. In 16 studies, change in FEV1 or FEV1/FVC over time was the outcome. There have been relatively few studies using LLN criteria with the GOLD criteria being more frequent in recent years, although this has changed in favor of LLN criteria. The distribution of the criteria used thus reflects temporal trends in publishing rather than a selection bias per se. We found a consistent association between airflow obstruction/COPD and a wide variety of occupational exposures in this systematic literature analysis. This reaffirms the findings of previous reviews but also addresses some of the potential limitations of earlier assessments by restricting the studies included to high quality epidemiological analysis involving only spirometrically confirmed airflow obstruction as the outcome, combining this with minimal requirements for exposure characterization (eg, reported internal or external referents). The 59 publications included in the core analysis, supplemented by 8 more recent studies, comprise both population-based and industry-specific approaches and represent a global database. The included studies originated from Europe, America, Asia, and Africa, albeit dominated by the former two regions. The exposure variables were multi-dimensional and heterogeneous and described, evaluated, or measured differently. The industry-specific studies often involved with direct exposure measurements were constructed to analyze for associations while the population-based studies did not benefit from such data. Exposure was assessed by means of questionnaire, JEM, occupational- and industrial categorizations, and personal- and area measurements. It is interesting to observe that the findings from the population-based studies, which were not designed to analyze for an association between exposure and COPD (that is, occupation was of interest as a confounder), did not differ in either strength or direction of the association from the industry-specific studies designed for that purpose. Multiple study designs were used and the size of the population analyzed varied substantially. The outcomes in the analyses were not uniform and similar outcomes were defined differently among the studies. Yet, despite these heterogeneous attributes, there is a pattern of consistency in the association observed between exposure and COPD. This diversity in design but consistency in findings supports the conclusion that occupational exposure plays a causal role in the development of COPD. The findings of COPD among non-smokers (17, 99) further underscore the importance of exposures other than smoking in the etiology of the disease. The odds ratios (OR) for COPD (GOLD I+ and II+) were calculated for 18 studies. Among the population-based studies (33–36, 39, 42, 43, 47), OR ranged from 1.08–2.13, and among the studies on inorganic exposure, the OR was 1.70–3.80 (35, 40, 61, 64) and <1 (37), Among the studies on organic exposure, OR ranged from 1.20–8.86 (37, 40, 75, 76) and <1 (35). The data support a “robust” more than a “very strong” (high point estimate of risk) association, but do not contradict a causal relationship. In all of the included studies, the exposure occurred prior to the health outcome (eg, temporally consistent). Finally, the relationship of exposure to VGDF and COPD is certainly biologically plausible given the physicochemical heterogeneity that characterizes cigarette smoke as the best established cause of this disease. In addition to the consistency of the association between occupation and COPD, during the last two decades dose–response data have lent further support to a causal relation. These include analyses showing effects across a gradient of exposures to cotton textile (82, 83), jute processing (84), farming (85), grain and animal feed (86), wood workers (88), welding (67), foundry work (70), coal mining (68, 69), and non-mining industrial dust (56). The consistent finding of a dose–response relationship despite the diversity of exposures adds to the evidence that occupational exposure from VGDF is a risk factor for COPD. COPD is a heterogeneous disease with diverse involvement of both large and small airways (in relation to emphysema in particular), the alveoli, and lung parenchyma. Several pathological pathways are thought to be involved. An abnormal inflammatory response in the lungs to toxic particles and gases inhaled from tobacco smoke, air pollution, and occupational exposure is thought to be the central event in the pathogenesis of COPD (100). However, the pathophysiological mechanisms that link the inflammatory response in the lung with accelerated loss in FEV1 are not wholly understood and may also involve factors related to genetic factors, immune regulation, and mechanisms related to cellular repair and the resolution of inflammation (101). Even the effect of smoking, the main risk factor for COPD, is not fully understood (14). There are published data that show pathological similarities in the COPD “phenotype” associated with tobacco smoke exposure and occupational exposure to particles and gases. Smoking-induced COPD is characterized pathologically by the development of emphysema, chronic bronchitis, and small airways disease in varying degrees in different individuals. The effect of occupational exposure is studied less than smoking exposure but published data supports an association between emphysema and occupational exposure to cadmium (65) and, to a lesser extent, coal (102) and silica (103). Similarly, exposures to cadmium, coal, endotoxin, and silica in animal models have all been shown to cause emphysema (104). Among μ1-antitrypsin-deficent subjects, there is clear biological support for the association between occupational exposure and COPD. Although tobacco smoke is the major cause of a classical gene-environment interaction in α1-antitrypsin, deficiency studies have shown an increased risk of chronic cough, lower FEV1, and lower FEV1/FVC among subjects with phenotype Pi*Z and occupational exposure, an association independent of tobacco smoke (105, 106). This review emphasizes standard spirometric criteria for airway obstruction/COPD and does not systematically consider chronic bronchitis. Removing the latter diagnostic category increases the specificity of the association we observed although it does limit generalization of our findings beyond airflow obstruction to chronic productive cough. COPD populations defined on the basis of FEV1/FVC alone may be heterogeneous with respect to etiological risk factors and clinical progression of disease, including disability risk. For example, longstanding asthma causing irreversible airways obstruction cannot be differentiated from COPD based on spirometry alone, even with bronchodilator administration. However, in most of the studies we included, persons with self-reported asthma were excluded, while studies with high-risk asthma exposures (ie, isocyanates) were also avoided. The non-uniform spirometry-based definitions of COPD in the studies we analyzed introduce possible misclassification and limit the comparison of the prevalence/incidence of COPD among studies. In most of these, moreover, especially the older studies, there was no information about post bronchodilator spirometry for subjects with FEV1/FVC ratios <0.7. The frequently used GOLD criterion introducing a fixed FEV1/FVC of <0.70 is prone to overestimation of obstruction among older or male subjects, while, among the young or female subjects, the GOLD criteria will tend to underestimate the true prevalence because FEV1 /FVC declines with age as we noted earlier (107). Indeed, defining COPD solely on the criterion of FEV1/FVC <0.7 is no longer accepted in the European Respiratory Journal (6). This misclassification, however, would most likely influence the estimate of the proportion of subjects with disease rather than skew the association between disease and exposure. It must also be kept in mind that the airflow limitation (whether by GOLD criteria or defined by LLN) is present not only among persons with appropriately diagnosed clinical COPD but also among a subset of persons who have gone undiagnosed. Therefore, a spirometry-based definition of abnormality may not be wholly generalizable to clinical disease. The studies we analyzed were of varying design, derived from different populations, and applied differing measures of exposure and outcome. Nonetheless, across these studies there was a consistent association between occupational exposures and COPD, providing epidemiological support for this association. Furthermore, these associations were dose-dependent for both organic and inorganic exposures in multiple longitudinal studies, and data from animal studies support biological plausibility. Central criteria for evidence of causation (108) including strength, consistency, and temporality of association together with documented biological gradient, plausibility, and coherence have all been documented. We therefore conclude that there is strong evidence for a causal association between various types of occupational exposures and COPD. The authors thank the two external reviewers Professor Giovanni Viegi, University of Pisa, Italy, and Professor William MacNee, University of Edinburgh, Scotland for their comments and contribution to the scientific reference document on which this review is based. The work was funded by the Danish Working Environment Research Fund. (2008). Paris: WHO. World Health Organization (WHO). World health statistics. Eisner, MD, Anthonisen, N, Coultas, D, Kuenzli, N, Perez-Padilla, R, Postma, D, et al. (2010, Sep 1). An official American Thoracic Society public policy statement: Novel risk factors and the global burden of chronic obstructive pulmonary disease. Am J Respir Crit Care Med, 182(5), 693-718, http://dx.doi.org/10.1164/rccm.200811-1757ST . Balmes, J, Becklake, M, Blanc, P, Henneberger, P, Kreiss, K, Mapp, C, et al. (2003, Mar 1). American Thoracic Society statement: Occupational contribution to the burden of airway disease. Am J Respir Crit Care Med, 167(5), 787-97, http://dx.doi.org/10.1164/rccm.167.5.787 . Bateman, ED, Hurd, SS, Barnes, PJ, Bousquet, J, Drazen, JM, FitzGerald, M, et al. (2008, Jan). Global strategy for asthma management and prevention: GINA executive summary. Eur Respir J, 31(1), 143-78, http://dx.doi.org/10.1183/09031936.00138707 . Global Initiative for Chronic Obstructive Lung Disease (GOLD). Global strategy for diagnosis, management, and prevention of COPD. (2008). GOLD, http://www.goldcopd.org/uploads/users/files/guideline-961.pdf . Miller, MR, Pedersen, OF, Pellegrino, R, & Brusasco, V. (2009, Sep). Debating the definition of airflow obstruction: Time to move on? Eur Respir J, 34(3), 527-8, http://dx.doi.org/10.1183/09031936.00103309 . Hogg, JC. (2004, Aug 21-27). Pathophysiology of airflow limitation in chronic obstructive pulmonary disease. Lancet, 364(9435), 709-21, http://dx.doi.org/10.1016/S0140-6736(04)16900-6 . Oxman, AD, Muir, DC, Shannon, HS, Stock, SR, Hnizdo, E, & Lange, HJ. (1993, Jul). Occupational dust exposure and chronic obstructive pulmonary disease. A systematic overview of the evidence. Am Rev Respir Dis, 148(1), 38-48, http://dx.doi.org/10.1164/ajrccm/148.1.38 . Becklake, MR. (1985, Oct). Chronic airflow limitation: Its relationship to work in dusty occupations. Chest, 88(4), 608-17, http://dx.doi.org/10.1378/chest.88.4.608 . Becklake, MR. (1989, Sep). Occupational exposures: Evidence for a causal association with chronic obstructive pulmonary disease. Am Rev Respir Dis, 140(3 Pt 2), S85-91, http://dx.doi.org/10.1164/ajrccm/140.3_Pt_2.S85 . Coggon, D, & Newman, Taylor A. (1998, May). Coal mining and chronic obstructive pulmonary disease: A review of the evidence. Thorax, 53(5), 398-407, http://dx.doi.org/10.1136/thx.53.5.398 . Blanc, PD, & Torén, K. (2007, Mar). Occupation in chronic obstructive pulmonary disease and chronic bronchitis: An update. Int J Tuberc Lung Dis, 11(3), 251-7. Hendrick, DJ. (1996, Sep). Occupational and chronic obstructive pulmonary disease (COPD). Thorax, 51(9), 947-55, http://dx.doi.org/10.1136/thx.51.9.947 . Burge, PS. (2002). Occupation and COPD. Eur Respir Rev, 12(86/87), 293-4. Viegi, G, & Di Pede, C. (2002, Apr). Chronic obstructive lung diseases and occupational exposure. Curr Opin Allergy Clin Immunol, 2(2), 115-21, http://dx.doi.org/10.1097/00130832-200204000-00006 . (2007). Oslo: Norwegian Medical Association. The Norwegian Medical Association. Yrkesbetinget kronisk obstruktiv lungesykdom (KOLS) [Occupational COPD]. Salvi, SS, & Barnes, PJ. (2009, Aug 29). Chronic obstructive pulmonary disease in non-smokers. Lancet, 374(9691), 733-43, http://dx.doi.org/10.1016/S0140-6736(09)61303-9 . (2004). New York: ATS. American Thoracic Society (ATS), European Respiratory Society. Standards for the diagnosis and treatment of patients with COPD. Cochrane handbook for systematic reviews of interventions version 5.0.2. the Cochrane collaboration. [Internet]. (2009). Available from: www.cochrane-handbook.org . Scottish intercollegiate guidelines network [Internet]. (2009). Available from: http://www.sign.ac.uk/guidelines/fulltext/50/annexb.html . Marine, WM, Gurr, D, & Jacobsen, M. (1988, Jan). Clinically important respiratory effects of dust exposure and smoking in british coal miners. Am Rev Respir Dis, 137(1), 106-12, http://dx.doi.org/10.1164/ajrccm/137.1.106 . Kuempel, ED, Wheeler, MW, Smith, RJ, Vallyathan, V, & Green, FH. (2009, Aug 1). Contributions of dust exposure and cigarette smoking to emphysema severity in coal miners in the united states. Am J Respir Crit Care Med, 180(3), 257-64, http://dx.doi.org/10.1164/rccm.200806-840OC . Cowie, RL, & Mabena, SK. (1996, Jul). Asthma in goldminers. S Afr Med J, 86(7), 804-7. Cowie, RL. (1989, Dec). Pulmonary dysfunction in gold miners with reactive airways. Br J Ind Med, 46(12), 873-6. Hnizdo, E, Sluis-Cremer, GK, Baskind, E, & Murray, J. (1994, Aug). Emphysema and airway obstruction in non-smoking south african gold miners with long exposure to silica dust. Occup Environ Med, 51(8), 557-63, http://dx.doi.org/10.1136/oem.51.8.557 . Cowie, RL, & Mabena, SK. (1991, Jan). Silicosis, chronic airflow limitation, and chronic bronchitis in south african gold miners. Am Rev Respir Dis, 143(1), 80-4, http://dx.doi.org/10.1164/ajrccm/143.1.80 . Ross, J, Ehrlich, RI, Hnizdo, E, White, N, & Churchyard, GJ. (2010, Nov). Excess lung function decline in gold miners following pulmonary tuberculosis. Thorax, 65(11), 1010-5, http://dx.doi.org/10.1136/thx.2009.129999 . Rushton, L. (2007, Oct-Dec). Chronic obstructive pulmonary disease and occupational exposure to silica. Rev Environ Health, 22(4), 255-72, http://dx.doi.org/10.1515/REVEH.2007.22.4.255 . Heederik, D, Kromhout, H, Kromhout, D, Burema, J, & Biersteker, K. (1992, May). Relations between occupation, smoking, lung function, and incidence and mortality of chronic non-specific lung disease: The zutphen study. Br J Ind Med, 49(5), 299-308. Tuchsen, F, & Hannerz, H. (2000, Mar). Social and occupational differences in chronic obstructive lung disease in denmark 1981-1993. Am J Ind Med, 37(3), 300-6, http://dx.doi.org/10.1002/(SICI)1097-0274(200003)37:3<300::AID-AJIM9>3.0.CO;2-V .
Bergdahl, IA, Torén, K, Eriksson, K, Hedlund, U, Nilsson, T, Flodin, R, et al. (2004, Mar). Increased mortality in COPD among construction workers exposed to inorganic dust. Eur Respir J, 23(3), 402-6, http://dx.doi.org/10.1183/09031936.04.00034304 . Blanc, PD, Eisner, MD, Earnest, G, Trupin, L, Balmes, JR, Yelin, EH, et al. (2009, Jul). Further exploration of the links between occupational exposure and chronic obstructive pulmonary disease. J Occup Environ Med, 51(7), 804-10, http://dx.doi.org/10.1097/JOM.0b013e3181a7dd4e . Blanc, PD, Iribarren, C, Trupin, L, Earnest, G, Katz, PP, Balmes, J, et al. (2009, Jan). Occupational exposures and the risk of COPD: Dusty trades revisited. Thorax, 64(1), 6-12, http://dx.doi.org/10.1136/thx.2008.099390 . Blanc, PD, Menezes, AM, Plana, E, Mannino, DM, Hallal, PC, Torén, K, et al. (2009, Feb). Occupational exposures and COPD: An ecological analysis of international data. Eur Respir J, 33(2), 298-304, http://dx.doi.org/10.1183/09031936.00118808 . Weinmann, S, Vollmer, WM, Breen, V, Heumann, M, Hnizdo, E, Villnave, J, et al. (2008, May). COPD and occupational exposures: A case-control study. J Occup Environ Med, 50(5), 561-9, http://dx.doi.org/10.1097/JOM.0b013e3181651556 . Jaén, Á, Zock, JP, Kogevinas, M, Ferrer, A, & Marin, A. (2006, Feb 14). Occupation, smoking, and chronic obstructive respiratory disorders: A cross sectional study in an industrial area of catalonia, spain. Environ Health, 5, 2, http://dx.doi.org/10.1186/1476-069X-5-2 . Matheson, MC, Benke, G, Raven, J, Sim, MR, Kromhout, H, Vermeulen, R, et al. (2005, Aug). Biological dust exposure in the workplace is a risk factor for chronic obstructive pulmonary disease. Thorax, 60(8), 645-51, http://dx.doi.org/10.1136/thx.2004.035170 . Hnizdo, E, Sullivan, PA, Bang, KM, & Wagner, G. (2002, Oct 15). Association between chronic obstructive pulmonary disease and employment by industry and occupation in the US population: A study of data from the third national health and nutrition examination survey. Am J Epidemiol, 156(8), 738-46, http://dx.doi.org/10.1093/aje/kwf105 . de Marco, R, Accordini, S, Cerveri, I, Corsico, A, Sunyer, J, Neukirch, F, et al. (2004, Feb). An international survey of chronic obstructive pulmonary disease in young adults according to GOLD stages. Thorax, 59(2), 120-5, http://dx.doi.org/10.1136/thorax.2003.011163 . Mastrangelo, G, Tartari, M, Fedeli, U, Fadda, E, & Saia, B. (2003, May). Ascertaining the risk of chronic obstructive pulmonary disease in relation to occupation using a case-control design. Occup Med (Lond), 53(3), 165-72, http://dx.doi.org/10.1093/occmed/kqg041 . Hnizdo, E, Sullivan, PA, Bang, KM, & Wagner, G. (2004, Aug). Airflow obstruction attributable to work in industry and occupation among U.S. race/ethnic groups: A study of NHANES III data. Am J Ind Med, 46(2), 126-35, http://dx.doi.org/10.1002/ajim.20042 . Mak, GK, Gould, MK, & Kuschner, WG. (2001, Sep). Occupational inhalant exposure and respiratory disorders among never-smokers referred to a hospital pulmonary function laboratory. Am J Med Sci, 322(3), 121-6, http://dx.doi.org/10.1097/00000441-200109000-00002 . Fishwick, D, Bradshaw, LM, D’Souza, W, Town, I, Armstrong, R, Pearce, N, et al. (1997, Nov). Chronic bronchitis, shortness of breath, and airway obstruction by occupation in New Zealand. Am J Respir Crit Care Med, 156(5), 1440-6, http://dx.doi.org/10.1164/ajrccm.156.5.97-03007 . Isoaho, R, Puolijoki, H, Huhti, E, Kivela, SL, Laippala, P, & Tala, E. (1994, Sep). Prevalence of chronic obstructive pulmonary disease in elderly finns. Respir Med, 88(8), 571-80, http://dx.doi.org/10.1016/S0954-6111(05)80004-6 . Xu, X, Christiani, DC, Dockery, DW, & Wang, L. (1992, Aug). Exposure-response relationships between occupational exposures and chronic respiratory illness: A community-based study. Am Rev Respir Dis, 146(2), 413-8, http://dx.doi.org/10.1164/ajrccm/146.2.413 . Bakke, PS, Baste, V, Hanoa, R, & Gulsvik, A. (1991, Dec). Prevalence of obstructive lung disease in a general population: Relation to occupational title and exposure to some airborne agents. Thorax, 46(12), 863-70, http://dx.doi.org/10.1136/thx.46.12.863 . Viegi, G, Prediletto, R, Paoletti, P, Carrozzi, L, Di Pede, F, Vellutini, M, et al. (1991, Mar). Respiratory effects of occupational exposure in a general population sample in north Italy. Am Rev Respir Dis, 143(3), 510-5, http://dx.doi.org/10.1164/ajrccm/143.3.510 . Korn, RJ, Dockery, DW, Speizer, FE, Ware, JH, & Ferris, BG, Jr. (1987, Aug). Occupational exposures and chronic respiratory symptoms. A population-based study. Am Rev Respir Dis, 136(2), 298-304, http://dx.doi.org/10.1164/ajrccm/136.2.298 . Lebowitz, MD. (1977, Aug). Occupational exposures in relation to symptomatology and lung function in a community population. Environ Res, 14(1), 59-67, http://dx.doi.org/10.1016/0013-9351(77)90066-4 . Boggia, B, Farinaro, E, Grieco, L, Lucariello, A, & Carbone, U. (2008, Mar). Burden of smoking and occupational exposure on etiology of chronic obstructive pulmonary disease in workers of southern Italy. J Occup Environ Med, 50(3), 366-70, http://dx.doi.org/10.1097/JOM.0b013e318162f601 . Harber, P, Tashkin, DP, Simmons, M, Crawford, L, Hnizdo, E, Connett, J, et al. (2007, Nov 15). Effect of occupational exposures on decline of lung function in early chronic obstructive pulmonary disease. Am J Respir Crit Care Med, 176(10), 994-1000, http://dx.doi.org/10.1164/rccm.200605-730OC . Sunyer, J, Zock, JP, Kromhout, H, Garcia-Esteban, R, Radon, K, Jarvis, D, et al. (2005, Nov 1). Lung function decline, chronic bronchitis, and occupational exposures in young adults. Am J Respir Crit Care Med, 172(9), 1139-45, http://dx.doi.org/10.1164/rccm.200504-648OC . Lindberg, A, Jonsson, AC, Ronmark, E, Lundgren, R, Larsson, LG, & Lundback, B. (2005, May). Ten-year cumulative incidence of COPD and risk factors for incident disease in a symptomatic cohort. Chest, 127(5), 1544-52, http://dx.doi.org/10.1378/chest.127.5.1544 . Humerfelt, S, Gulsvik, A, Skjaerven, R, Nilssen, S, Kvale, G, Sulheim, O, et al. (1993, Sep). Decline in FEV1 and airflow limitation related to occupational exposures in men of an urban community. Eur Respir J, 6(8), 1095-103. Krzyzanowski, M, Jedrychowski, W, & Wysocki, M. (1986, Nov). Factors associated with the change in ventilatory function and the development of chronic obstructive pulmonary disease in a 13-year follow-up of the cracow study. Risk of chronic obstructive pulmonary disease. Am Rev Respir Dis, 134(5), 1011-9. Kauffmann, F, Drouet, D, Lellouch, J, & Brille, D. (1982, Aug). Occupational exposure and 12-year spirometric changes among Paris area workers. Br J Ind Med, 39(3), 221-32. Luo, JC, Hsu, KH, & Shen, WS. (2006, Jun). Pulmonary function abnormalities and airway irritation symptoms of metal fumes exposure on automobile spot welders. Am J Ind Med, 49(6), 407-16, http://dx.doi.org/10.1002/ajim.20320 . Gennaro, V, Baser, ME, Costantini, M, Merlo, F, Robutti, P, & Tockman, MS. (1993, Mar-Apr). Effects of smoking and occupational exposures on pulmonary function impairment in Italian shipyard workers. Med Lav, 84(2), 121-32. Bogadi-Šare, A. (1990, Sep). Respiratory disorders in stainless steel workers. Arh Hig Rada Toksikol, 41(3), 249-55. Hu, Y, Chen, B, Yin, Z, Jia, L, Zhou, Y, & Jin, T. (2006, Apr). Increased risk of chronic obstructive pulmonary diseases in coke oven workers: Interaction between occupational exposure and smoking. Thorax, 61(4), 290-5, http://dx.doi.org/10.1136/thx.2005.051524 . Randem, BG, Ulvestad, B, Burstyn, I, & Kongerud, J. (2004, Apr). Respiratory symptoms and airflow limitation in asphalt workers. Occup Environ Med, 61(4), 367-9, http://dx.doi.org/10.1136/oem.2002.006114 . Meijer, E, Kromhout, H, & Heederik, D. (2001, Aug). Respiratory effects of exposure to low levels of concrete dust containing crystalline silica. Am J Ind Med, 40(2), 133-40, http://dx.doi.org/10.1002/ajim.1080 . Fell, AK, Thomassen, TR, Kristensen, P, Egeland, T, & Kongerud, J. (2003, Sep). Respiratory symptoms and ventilatory function in workers exposed to portland cement dust. J Occup Environ Med, 45(9), 1008-14, http://dx.doi.org/10.1097/01.jom.0000083036.56116.9d . Ulvestad, B, Bakke, B, Melbostad, E, Fuglerud, P, Kongerud, J, & Lund, MB. (2000, Apr). Increased risk of obstructive pulmonary disease in tunnel workers. Thorax, 55(4), 277-82, http://dx.doi.org/10.1136/thorax.55.4.277 . Davison, AG, Fayers, PM, Taylor, AJ, Venables, KM, Darbyshire, J, Pickering, CA, et al. (1988, Mar 26). Cadmium fume inhalation and emphysema. Lancet, 1(8587), 663-7, http://dx.doi.org/10.1016/S0140-6736(88)91474-2 . Rastogi, SK, Gupta, BN, Husain, T, Chandra, H, Mathur, N, Pangtey, BS, et al. (1991). A cross-sectional study of pulmonary function among workers exposed to multimetals in the glass bangle industry. Am J Ind Med, 20(3), 391-9, http://dx.doi.org/10.1002/ajim.4700200311 . Wang, ML, McCabe, L, Hankinson, JL, Shamssain, MH, Gunel, E, Lapp, NL, et al. (1996, Jun). Longitudinal and cross-sectional analyses of lung function in steelworkers. Am J Respir Crit Care Med, 153(6 Pt 1), 1907-13, http://dx.doi.org/10.1164/ajrccm.153.6.8665054 . Seixas, NS, Robins, TG, Attfield, MD, & Moulton, LH. (1993, Oct). Longitudinal and cross sectional analyses of exposure to coal mine dust and pulmonary function in new miners. Br J Ind Med, 50(10), 929-37. Seixas, NS, Robins, TG, Attfield, MD, & Moulton, LH. (1992). Exposure-response relationships for coal mine dust and obstructive lung disease following enactment of the federal coal mine health and safety act of 1969. Am J Ind Med, 21(5), 715-34, http://dx.doi.org/10.1002/ajim.4700210511 . Hertzberg, VS, Rosenman, KD, Reilly, MJ, & Rice, CH. (2002, Aug). Effect of occupational silica exposure on pulmonary function. Chest, 122(2), 721-8, http://dx.doi.org/10.1378/chest.122.2.721 . Mehta, AJ, Henneberger, PK, Torén, K, & Olin, AC. (2005, Jul). Airflow limitation and changes in pulmonary function among bleachery workers. Eur Respir J, 26(1), 133-9, http://dx.doi.org/10.1183/09031936.05.00083604 . Fishwick, D, Fletcher, AM, Pickering, CA, McL Niven, R, & Faragher, EB. (1996, Jan). Lung function in lancashire cotton and man made fibre spinning mill operatives. Occup Environ Med, 53(1), 46-50, http://dx.doi.org/10.1136/oem.53.1.46 . Elwood, PC, Sweetnam, PM, Bevan, C, & Saunders, MJ. (1986, Sep). Respiratory disability in ex-cotton workers. Br J Ind Med, 43(9), 580-6. Elwood, JH, Elwood, PC, Campbell, MJ, Stanford, CF, Chivers, A, Hey, I, et al. (1986, May). Respiratory disability in ex-flax workers. Br J Ind Med, 43(5), 300-6. Eduard, W, Pearce, N, & Douwes, J. (2009, Sep). Chronic bronchitis, COPD, and lung function in farmers: The role of biological agents. Chest, 136(3), 716-25, http://dx.doi.org/10.1378/chest.08-2192 . Lamprecht, B, Schirnhofer, L, Kaiser, B, Studnicka, M, & Buist, AS. (2007, Jun). Farming and the prevalence of non-reversible airways obstruction: Results from a population-based study. Am J Ind Med, 50(6), 421-6, http://dx.doi.org/10.1002/ajim.20470 . Monsó, E, Riu, E, Radon, K, Magarolas, R, Danuser, B, Iversen, M, et al. (2004, Oct). Chronic obstructive pulmonary disease in never-smoking animal farmers working inside confinement buildings. Am J Ind Med, 46(4), 357-62, http://dx.doi.org/10.1002/ajim.20077 . Shamssain, MH. (1992, Feb). Pulmonary function and symptoms in workers exposed to wood dust. Thorax, 47(2), 84-7, http://dx.doi.org/10.1136/thx.47.2.84 . Heederik, D, Burdorf, L, Boleij, J, Willems, H, & van Bilsen, J. (1987). Pulmonary function and intradermal tests in workers exposed to soft-paper dust. Am J Ind Med, 11(6), 637-45, http://dx.doi.org/10.1002/ajim.4700110605 . Meijer, E, Heederik, D, & Kromhout, H. (1998, Jan). Pulmonary effects of inhaled dust and fumes: Exposure-response study in rubber workers. Am J Ind Med, 33(1), 16-23, http://dx.doi.org/10.1002/(SICI)1097-0274(199801)33:1<16::AID-AJIM3>3.0.CO;2-U . Wang, X, Zhang, HX, Sun, BX, Dai, HL, Hang, JQ, Eisen, E, et al. (2008, Feb 1). Cross-shift airway responses and long-term decline in FEV1 in cotton textile workers. Am J Respir Crit Care Med, 177(3), 316-20, http://dx.doi.org/10.1164/rccm.200702-318OC . Glindmeyer, HW, Lefante, JJ, Jones, RN, Rando, RJ, Abdel, Kader HM, & Weill, H. (1991, Sep). Exposure-related declines in the lung function of cotton textile workers. relationship to current workplace standards. Am Rev Respir Dis, 144(3 Pt 1), 675-83, http://dx.doi.org/10.1164/ajrccm/144.3_Pt_1.675 . Beck, GJ, Schachter, EN, Maunder, LR, & Schilling, RS. (1982, Nov). A prospective study of chronic lung disease in cotton textile workers. Ann Intern Med, 97(5), 645-51, http://dx.doi.org/10.7326/0003-4819-97-5-645 . Liu, Z, Zhou, C, & Lou, J. (1992, May-Jun). A longitudinal study of lung function in jute processing workers. Arch Environ Health, 47(3), 218-22, http://dx.doi.org/10.1080/00039896.1992.9938352 . Dalphin, JC, Maheu, MF, Dussaucy, A, Pernet, D, Polio, JC, Dubiez, A, et al. (1998, Jun). Six year longitudinal study of respiratory function in dairy farmers in the doubs province. Eur Respir J, 11(6), 1287-93, http://dx.doi.org/10.1183/09031936.98.11061287 . Post, W, Heederik, D, & Houba, R. (1998). Decline in lung function related to exposure and selection processes among workers in the grain processing and animal feed industry. Occup Environ Med, 55(5), 349-55, http://dx.doi.org/10.1136/oem.55.5.349 . Bachmann, M, & Myers, JE. (1991, Oct). Grain dust and respiratory health in South African milling workers. Br J Ind Med, 48(10), 656-62. Jacobsen, G, Schlunssen, V, Schaumburg, I, Taudorf, E, & Sigsgaard, T. (2008, Feb). Longitudinal lung function decline and wood dust exposure in the furniture industry. Eur Respir J, 31(2), 334-42, http://dx.doi.org/10.1183/09031936.00146806 . Glindmeyer, HW, Rando, RJ, Lefante, JJ, Freyder, L, Brisolara, JA, & Jones, RN. (2008, Aug). Longitudinal respiratory health study of the wood processing industry. Am J Ind Med, 51(8), 595-609, http://dx.doi.org/10.1002/ajim.20594 . Fine, LJ, & Peters, JM. (1976, Jan-Feb). Respiratory morbidity in rubber workers: II. pulmonary function in curing workers. Arch Environ Health, 31(1), 10-4, http://dx.doi.org/10.1080/00039896.1976.10667182 . Nordby, KC, Fell, AK, Noto, H, Eduard, W, Skogstad, M, Thomassen, Y, et al. (2011, Dec). Exposure to thoracic dust, airway symptoms and lung function in cement production workers. Eur Respir J, 38(6), 1278-86, http://dx.doi.org/10.1183/09031936.00007711 . Bala, S, & Tabaku, A. (2010, Jun). Chronic obstructive pulmonary disease in iron-steel and ferrochrome industry workers. Cent Eur J Public Health, 18(2), 93-8. Dement, JM, Welch, L, Ringen, K, Bingham, E, & Quinn, P. (2010, Mar). Airways obstruction among older construction and trade workers at department of energy nuclear sites. Am J Ind Med, 53(3), 224-40. Melville, AM, Pless-Mulloli, T, Afolabi, OA, & Stenton, SC. (2010, Sep). COPD prevalence and its association with occupational exposures in a general population. Eur Respir J, 36(3), 488-93, http://dx.doi.org/10.1183/09031936.00038309 . Govender, N, Lalloo, UG, & Naidoo, RN. (2011, Jul). Occupational exposures and chronic obstructive pulmonary disease: A hospital based case-control study. Thorax, 66(7), 597-601, http://dx.doi.org/10.1136/thx.2010.149468 . Soyseth, V, Johnsen, HL, Bugge, MD, Hetland, SM, & Kongerud, J. (2011, Jan). Prevalence of airflow limitation among employees in Norwegian smelters: A longitudinal study. Occup Environ Med, 68(1), 24-9, http://dx.doi.org/10.1136/oem.2009.049452 . Thaon, I, Thiebaut, A, Jochault, L, Lefebvre, A, Laplante, JJ, & Dalphin, JC. (2011, Apr). Influence of hay and animal feed exposure on respiratory status: A longitudinal study. Eur Respir J, 37(4), 767-74, http://dx.doi.org/10.1183/09031936.00122209 . Mehta, AJ, Miedinger, D, Keidel, D, Bettschart, R, Bircher, A, Bridevaux, PO, et al. (2012, Jun 15). Occupational exposure to dusts, gases, and fumes and incidence of chronic obstructive pulmonary disease in the Swiss cohort study on air pollution and lung and heart diseases in adults. Am J Respir Crit Care Med, 185(12), 1292-300, http://dx.doi.org/10.1164/rccm.201110-1917OC . Behrendt, CE. (2005, Sep). Mild and moderate-to-severe COPD in nonsmokers: Distinct demographic profiles. Chest, 128(3), 1239-44, http://dx.doi.org/10.1378/chest.128.3.1239 . Yoshida, T, & Tuder, RM. (2007, Jul). Pathobiology of cigarette smoke-induced chronic obstructive pulmonary disease. Physiol Rev, 87(3), 1047-82, http://dx.doi.org/10.1152/physrev.00048.2006 . MacNee, W, & Tuder, RM. (2009, Sep 15). New paradigms in the pathogenesis of chronic obstructive pulmonary disease I. Proc Am Thorac Soc, 6(6), 527-31, http://dx.doi.org/10.1513/pats.200905-027DS . Cockcroft, A, Seal, RM, Wagner, JC, Lyons, JP, Ryder, R, & Andersson, N. (1982, Sep 11). Post-mortem study of emphysema in coalworkers and non-coalworkers. Lancet, 2(8298), 600-3, http://dx.doi.org/10.1016/S0140-6736(82)90671-7 . Hnizdo, E, Sluis-Cremer, GK, & Abramowitz, JA. (1991, Jun). Emphysema type in relation to silica dust exposure in South African gold miners. Am Rev Respir Dis, 143(6), 1241-7, http://dx.doi.org/10.1164/ajrccm/143.6.1241 . ShapiroSD. Animal models for COPD. (2000, May). Chest, 117(5 Suppl 1), 223S-7S, http://dx.doi.org/10.1378/chest.117.5_suppl_1.223S . Piitulainen, E, Tornling, G, & Eriksson, S. (1997, Mar). Effect of age and occupational exposure to airway irritants on lung function in non-smoking individuals with alpha 1-antitrypsin deficiency (PiZZ). Thorax, 52(3), 244-8, http://dx.doi.org/10.1136/thx.52.3.244 . Mayer, AS, Stoller, JK, Bucher, Bartelson B, James, Ruttenber A, Sandhaus, RA, & Newman, LS. (2000, Aug). Occupational exposure risks in individuals with PI*Z alpha(1)-antitrypsin deficiency. Am J Respir Crit Care Med, 162(2 Pt 1), 553-8, http://dx.doi.org/10.1164/ajrccm.162.2.9907117 . Roberts, SD, Farber, MO, Knox, KS, Phillips, GS, Bhatt, NY, Mastronarde, JG, et al. (2006, Jul). FEV1/FVC ratio of 70% misclassifies patients with obstruction at the extremes of age. Chest, 130(1), 200-6, http://dx.doi.org/10.1378/chest.130.1.200 . Hill, AB. (1965, May). The environment and disease: Association or causation? Proc R Soc Med, 58, 295-300.